We all have the right to clean air, yet millions of people are breathing toxic air on a daily basis. It doesn’t have to be this way. Labour Town Halls up and down the UK, from Southampton and Leeds to Birmingham and Nottingham are putting the heath of our communities first. And here in Oxford, where I serve as the Executive Board member for the Environment and Chair of Oxford Co-operative Party Branch, our Labour City Council has just launched our updated plans to introduce the world’s very first Zero Emission Zone. 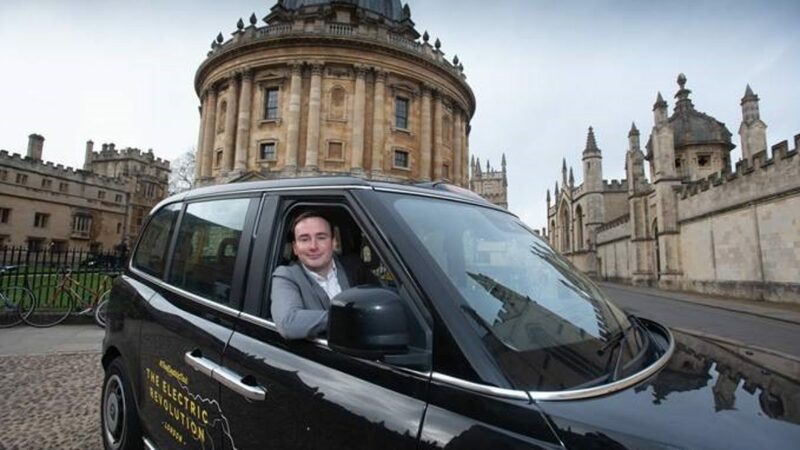 Oxford’s Zero Emission Zone (ZEZ) will be introduced in phases between 2020 and 2035, requiring each one of the 106 Black Cabs currently licensed in the city to move from 0% electric today to 100% zero-emitting by 2025 and all buses in the city centre to shift to one of the cleanest (Euro 6) engines by 2020 then become zero emitting by 2035 at the very latest. We fully expect to get to Zero even faster. For everyone else, the Zero Emission Zone has been simplified. From 2020, all non-zero emission cars, vans and lorries will be banned from parking or unloading during the day in the inner zone. Whereas Heavy Goods Vehicles had not been included in the original proposals announced 15 months ago, they now will be—contributing just 5% of traffic movements in the city, they’re responsible for 17% of harmful emissions. And then from 2022, vans, lorries and tourist buses may face a penalty if they enter the outer zone, which may expand to cars by 2025. Unlike other large UK cities also struggling to breathe, Oxford isn’t being mandated by Government to take action. Our Zero Emission Zone hasn’t been developed with Whitehall or funded by the Chancellor of the Exchequer. We’re choosing to prioritise driving down emissions across our county because we care about public health and see it as our duty to prevent avoidable deaths and health conditions. Our vision is a world of cities working together, finding ways to do what national governments just cannot, and testing the boundaries of what is possible in the face of transportation, financial, political, and technological challenges. At the heart of our intense work to develop our Zero Emission Zone has been our determination to respect the will of the people who got in touch. To consult on plans in 2017, ignore what more than 750 respondents told us, and plough on would have been insulting to those who took the time out of their busy schedules to participate in a democratic process. Respondents would rightly have been angry if we had turned around and said “you’ve got it wrong”, especially when we want to go back to them for a second consultation and encourage them to respond in large numbers. This approach is the cooperative way to developing policy that can have an impact. Local councils hold the keys to the zero-emission revolution. We’re working hard to help people out of polluting cars and make green transport like walking, cycling and public transport a viable alternative. Co-operatives are already at the heart of that approach with co-ops such as Broken Spoke Bike Co-op supporting people to ride and repair bikes in Oxford. Nearby Witney has seen a People’s Bus Service run services for the community, co-founded and run by Laura Price, one of the local Labour and Co-operative councillors. And Oxford is looking for ways to develop co-operative approaches for encouraging e-mobility. Ours is a textbook example of local government doing what national government won’t. Whitehall hasn’t developed the Zero Emission Zone, nor are they directly funding it. We don’t have a magic money tree to shake and fund fleets of electric taxis and buses from next year. National Government won’t even bring forward a proposed ban on polluting vehicles from 2040 to 2030, as my council has been calling for in a Cleaner Air Charter, allied to Greenpeace and Friends of the Earth. We need to elect a transformative Labour and Co-operative Government as soon as possible, so that our future Labour and Co-operative Ministers can draw on this best practice of Labour and Co-operative councils and clean up our national air and save many lives which would otherwise be lost because of polluted air. Local authorities up and down the country want to do more to clean up our air. Our councils can’t afford to wait for it because every year that substantial action on air pollution is delayed is another year when more people will die preventable deaths. That’s why the Zero Emission Zone isn’t just a game-changer—it’s also a life-saver. Oxford City Council is encouraging local authorities across the country to sign up to the Charter for Cleaner Air. Signatories include Southampton, Brighton and Hove, Nottingham, and Cambridge Councils. Email me if you want to sign up your council now. Find out more here. What are your ideas to tackle climate change? Take part in our 2019 policy consultation - an opportunity to have your say on the Party's position on key issues.